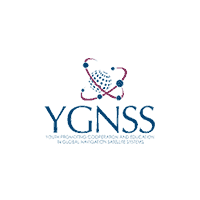 The Space Medicine and Life Sciences (SMLS) Project Group aims to provide an international, intercultural and interdisciplinary platform for young professionals with an interest in space biomedical science. Space Medicine and Life Sciences is fundamental in the development of terrestrial healthcare solutions by facilitating human space exploration, resonating with multiple United Nations Sustainable Development Goals. Therefore, the Space Generation Forum (SGF) 2.0 provided a forum for a “Space and Global Health Working Group 7” comprised of SGAC members, ahead of UNISPACE+50 in June 2018. This meeting catalysed the formation of the Space Medicine and Life Sciences (SMLS) Project Group within the SGAC framework, in keeping with the recommendations from SGF 1999. This group endeavours to provide a conduit for students and young professionals to engage in the ongoing debates in the space medical sector; to optimise human health on Earth, low-Earth orbit and beyond. Moreover, we hope to incubate and support ideas from the next generation to solve today’s health challenges. By fostering strategic partnerships with key stakeholders in the space sector (exemplified by the United Nations, national space agencies, commercial spaceflight organisations, academic institutions, and non-profit partners), this project group will enable members to propose innovative space based solutions to tackle terrestrial health challenges. The core project themes are reflected in the project group logo, which symbolises that space biomedicine is an interface that faciliates parallel advances in both terrestrial and global health. Our primary objective is to provide a global interdisciplinary platform to build a community of young professionals in space medicine and life sciences in collaboration with international stakeholders within the space sector. This community will work towards tangible space applications that address terrestrial healthcare issues, aligned to the United Nations (UN) Sustainable Development Goals (SDGs). In addition, this group will address space medical issues associated with the unique challenges associated with extreme space environments and work towards standardised evidence-based space medical guidelines. Subscribe to our mailing list to stay informed and updated about our latest activities. Join as an active member of the Space Medicine and Life Sciences group by being part of our community of practice hosted on Slack.